This is the perfect dish to make on a Sunday afternoon when you have time to wait patiently, anticipate, and revel in the aromas that gradually fill your house over the course of the three hours it takes to cook. 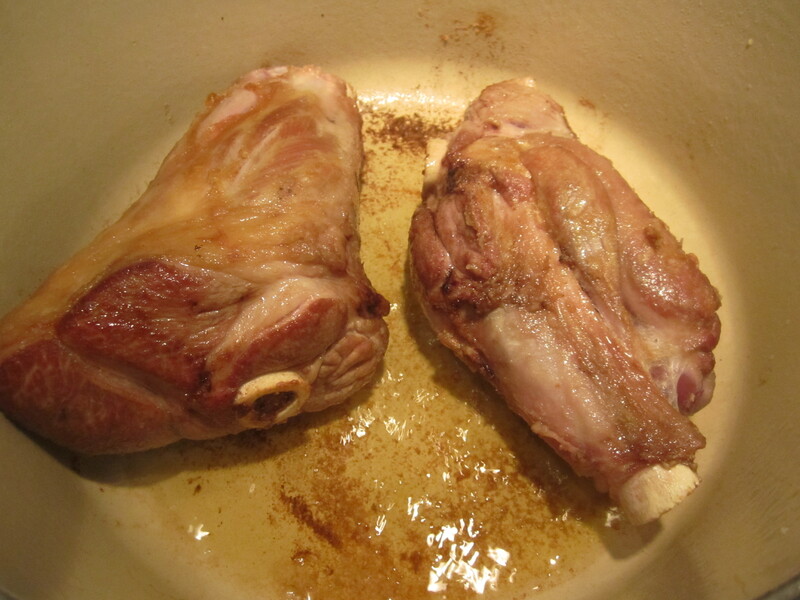 Lamb shanks are, in my opinion, the deepest, gamiest expression of lamb there is–gamier than the chops or the leg–even more so than shoulder. They are fatty, gelatinous and meaty. They can be braised and eaten as a main course, or shredded over pasta as a ragu. 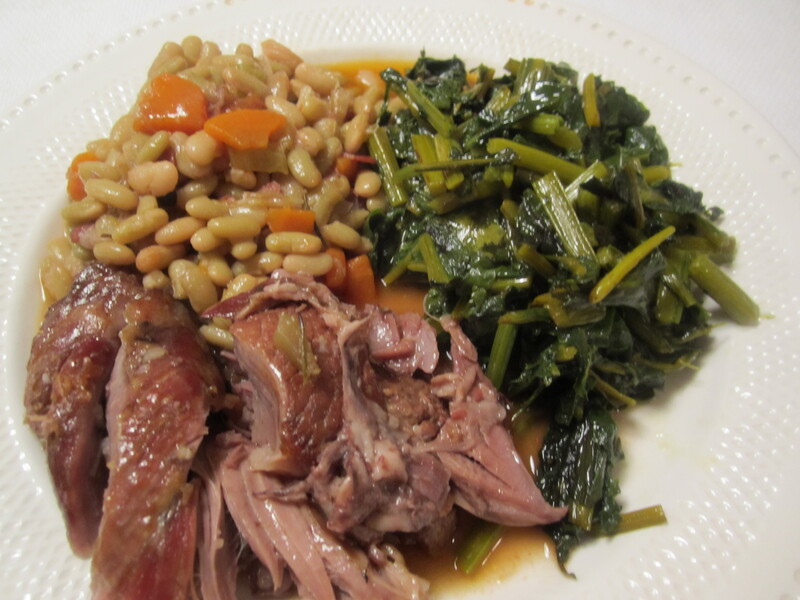 Beans are especially wonderful with lamb–white beans are nice, but I find that nothing is as good with lamb as flageolet beans. 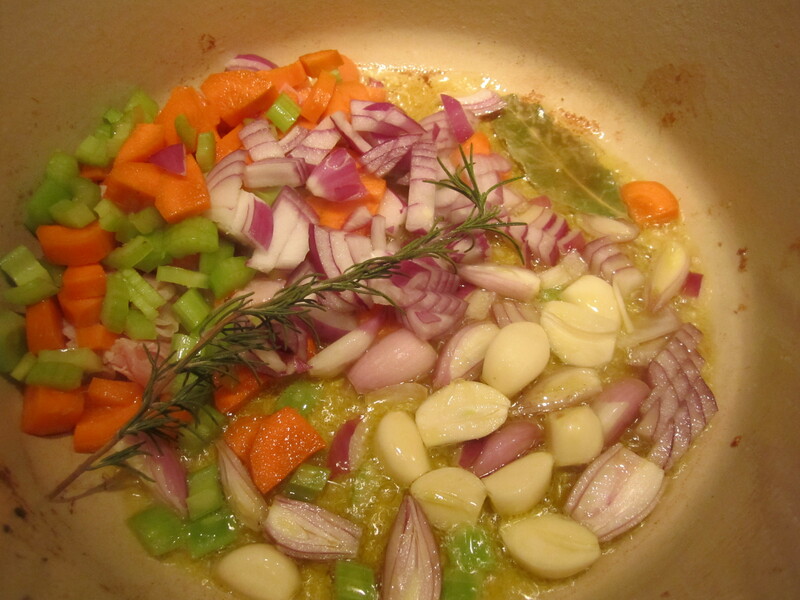 These beans belong more to French cuisine than Italian, and are worth seeking out. 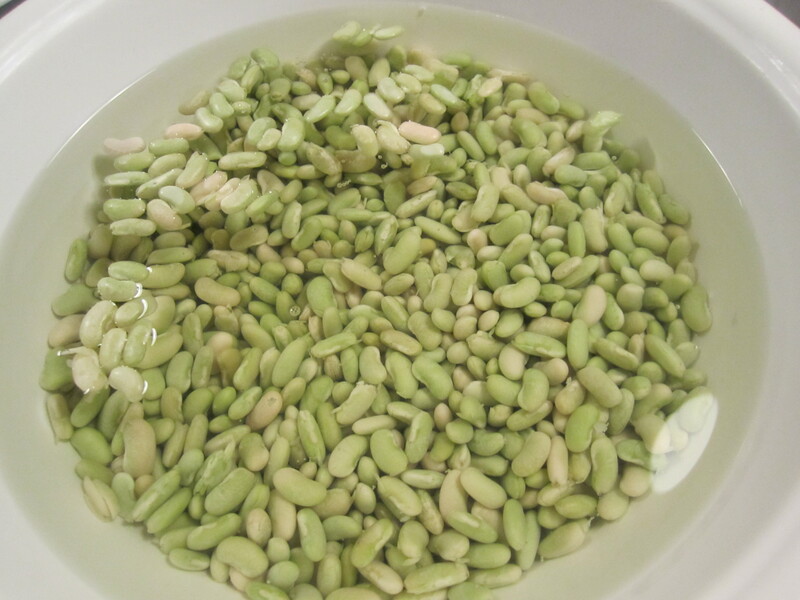 Like most beans, they require the forethought to soak overnight before cooking. 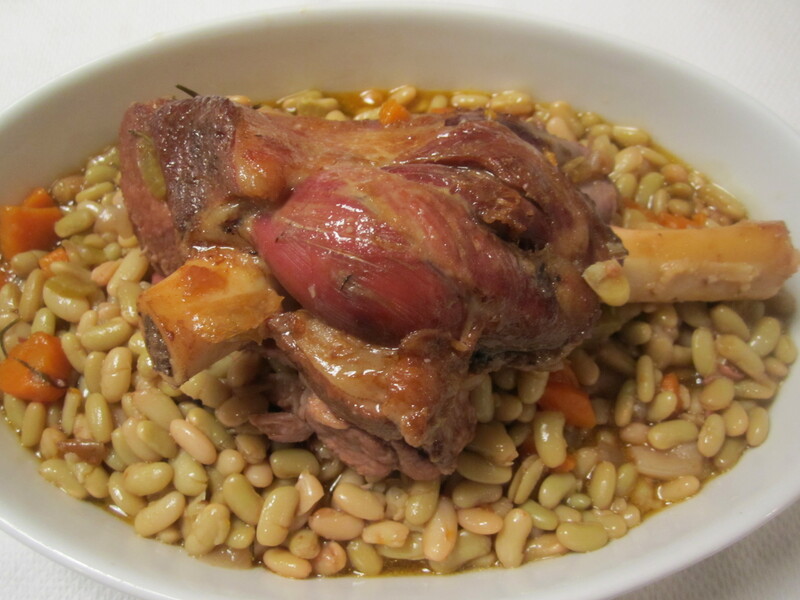 The beauty of flageolet beans with lamb shanks, is that they both cook at relatively the same rate. 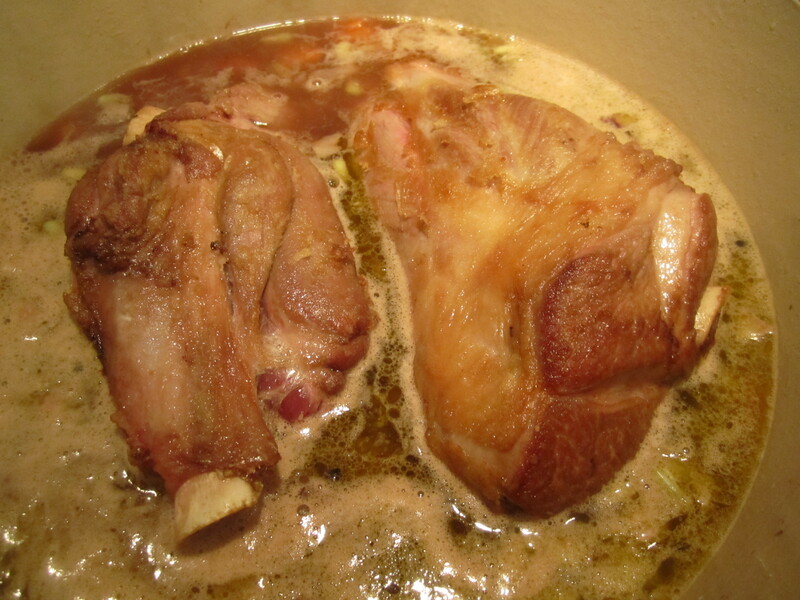 Therefore, it’s possible to braise the shanks right in the pot with the beans and their liquid, and both are perfectly cooked in about 3 hours. 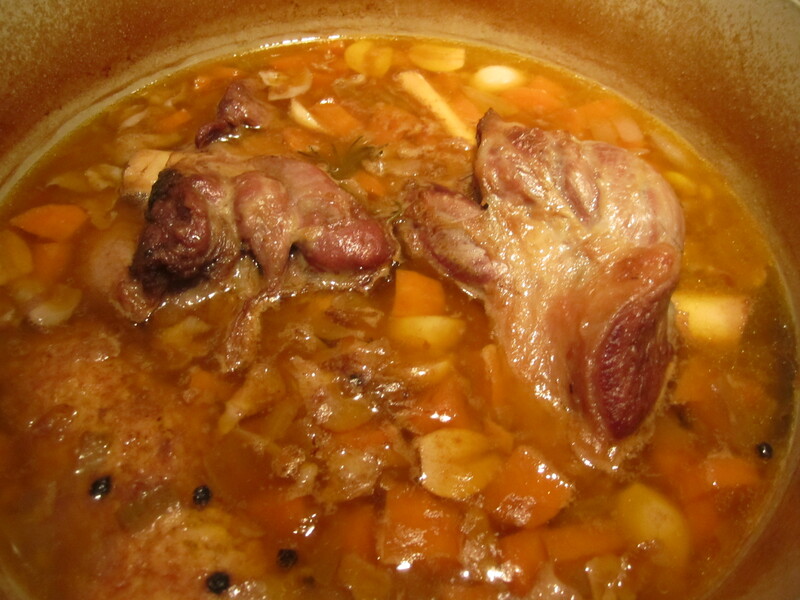 I bought the last two shanks that my butcher had today, but this recipe is for four shanks, which will generously feed 4 persons, almost certainly with leftovers. This dish tastes even better the next day, so don’t hesitate to make it even if you are only cooking for two–you can reheat the leftovers the next day, or freeze them and reheat at a later time. Tonight, along with the lamb and beans, I sauteed the beet greens from last night’s beets. Plenty of bread was necessary as well! Preheat half the oil in a heavy-bottomed dutch oven. Sprinkle shanks generously with salt, then dredge in flour and shake off excess. Gently place them in the hot oil and brown on all sides on high heat for about 8 minutes. Remove shanks and set aside. Pour off the oil and keep the brown bits clinging to the pot. 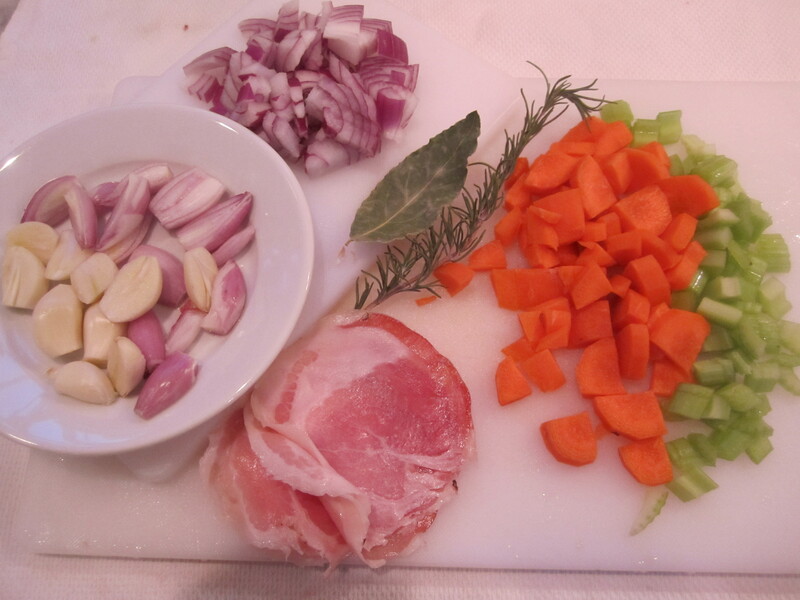 Add the other half the oil and add the pancetta, vegetables, bay leaves and rosemary sprig. Cook on medium heat for about 5 minutes, until vegetables begin to turn golden and pancetta renders some of its fat. 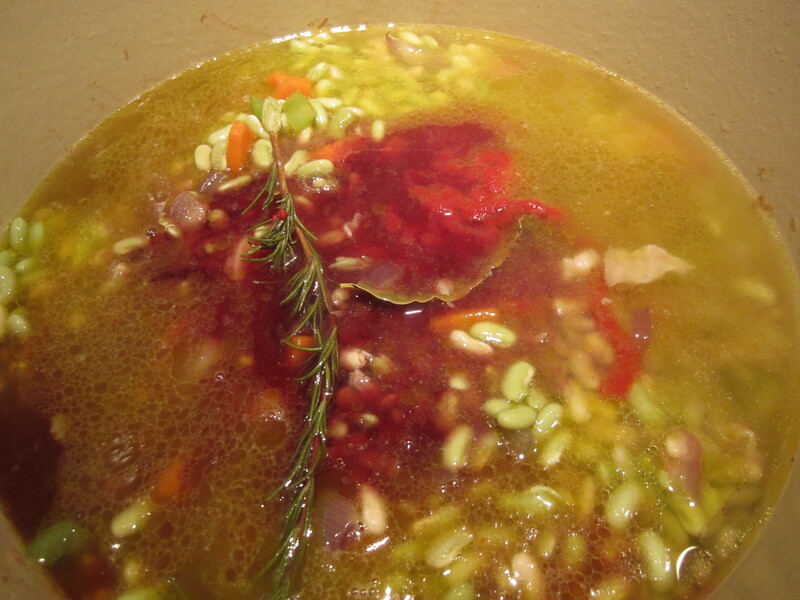 Add broth, wine, tomato paste and beans. 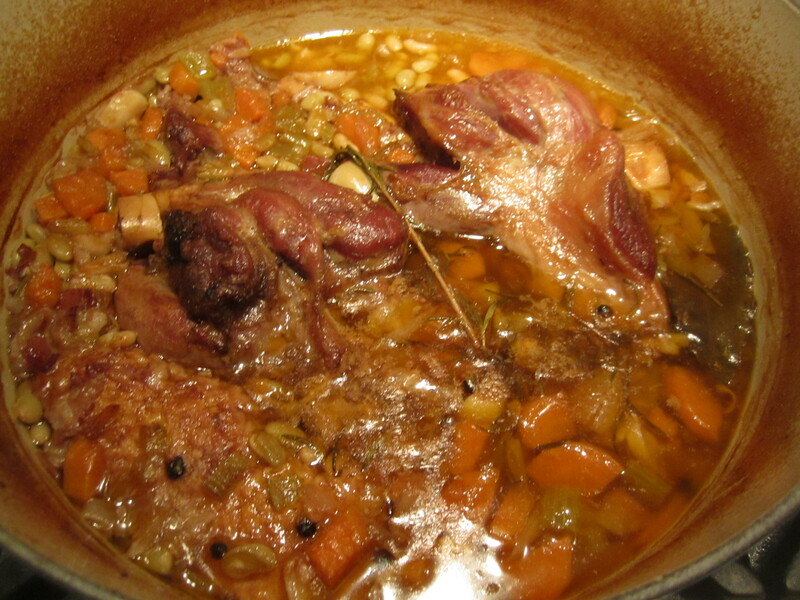 Bring to a boil and add lamb shanks. Simply nestle them in the beans, while making sure that they are only about half submerged–it’s important that they are not totally submerged, or they’ll boil instead of braise. Cover partially with lid and place in oven for about 3 hours total. There’s no rushing this dish, but like all good things, it’s worth the wait! This entry was posted in Meat, Vegetables. Bookmark the permalink.